Bulletproof was the third single from British synth pop duo La Roux off their self-titled debut album. Bulletproof was so popular it DEBUTED at #1 on the UK chart. In the U.S., it took American audiences until June 2010 to see it peak at #8. It went top 10 in an additional seven countries worldwide. This 1978 psychological horror movie starred Anthony Hopkins as magician’s assistant Corky who bombs at his first solo performance. He is given a ventriloquist dummy named Fats (voiced by Hopkins) to improve his act. After a few short years Corky is at the height of his fame. Unfortunately, Fats has developed a mind of his own and wants to control his master. Magic was directed by Richard Attenborough and written by William Goldman, who wrote the novel on which the film was based. Magic also starred Ann-Margret and Burgess Meredith. Magic was produced for $7 million and took in just under $24 million. Peabo is the debut, self-titled, self-produced album of soul vocalist Peabo Bryson. (R&B superstar Luther Vandross was a backing vocalist for Peabo.) Peabo was Bryson’s only album with Bullet Records, before he moved on to Capitol. 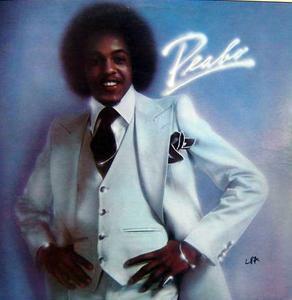 Peabo peaked at #48 on the Soul Album chart. Four singles were released: It’s Just a Matter of Time, Underground Music and I Can Make it Better were all top 25 hits on the R&B charts, while Just Another Day peaked at #27 on the R&B chart. 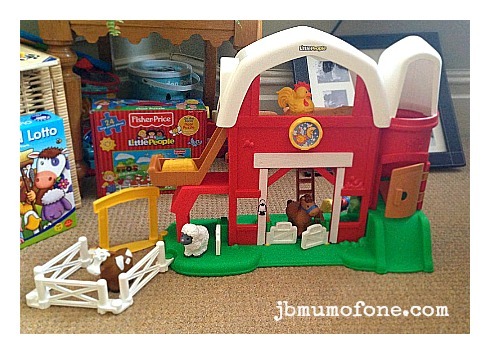 This battery operated farm comes with Farmer Eddie, a chicken, a horse, a cow and a sheep. There are 3 fence pieces and a gate to make a corral and features a silo and a slide. The barn plays 8 sing-along songs. It takes a brave(?) man to pull off pink zebra print pants. Zubaz pants were created by two Minnesota gym owners, these baggy drawstring pants were a hit with their muscular clients. (Ah, so it takes a man with big muscles that no one in their right mind would take on to pull off wearing these pants…) The pants became a favorite with athletes, gym aficionados and the WWE crowd. Zubaz were on the decline in mid-1990s but experienced a brief love affair again in 2007 when they launched new prints. Not content for a novelty song, Pac-Man Fever the single was taken off the album Pac-Man Fever. Get this: all seven songs on the album are based on popular video games of the time. I guess being tied to a novelty song or a song as silly as Pac-Man Fever isn’t so bad after all…. 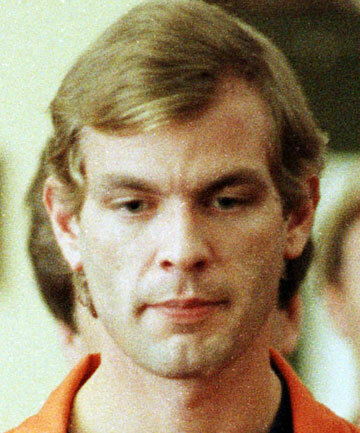 Born Jeffrey Lionel Dahmer in Milwaukee, Wisconsin, Dahmer first displayed troubling behavior after a childhood surgery at age 4 to correct a double hernia. He committed his first murder in 1978. He would then kill, dismember and sexually assault 16 more teens and men that he would lure back to his apartment between 1978 and 1991. Dahmer kept body parts as mementos of his crimes. Dahmer could have been stopped in May 1991. Dahmer’s neighbor Sandra Smith was forced to call police after she witnessed a 14-year-old boy running naked in the street. Police came and took Dahmer’s word that the boy was his lover (and incidentally the brother of a boy he had assaulted three years earlier). They escorted the “couple” home and took a cursory look around, but quickly left, not wanting to become involved in a homosexual domestic disturbance. After they left, the boy was killed and if the police had taken a proper look around they would have found the body of his 12th victim, Tony Hughes and could have saved 4 lives. Finally in July 1991, Dahmer’s 13-year reign of terror ended. Police spotted 32-year-old Tracy Edwards wandering the streets with a handcuff dangling from his wrist. He claimed a “weird” dude had drugged him and restrained him. The police arrived at Dahmer’s apartment — again. The knife that Dahmer threatened Edwards with was in the bedroom. So were many photographs of dismembered bodies. Dahmer was subdued and taken into custody. More searches revealed dismembered body parts in the fridge, freezer and in preserves jars. In 1992, he was sentenced to 16 life terms. Initially in prison, he was kept out of the general population. He eventually convinced authorities to let him integrate. While on work detail with Jesse Anderson and Christopher Scarver, two other convicted murderers, Scarver brutally beat both Anderson and Dahmer with a metal bar from the weight room. Dahmer was pronounced dead after an hour, Anderson died a few days later. 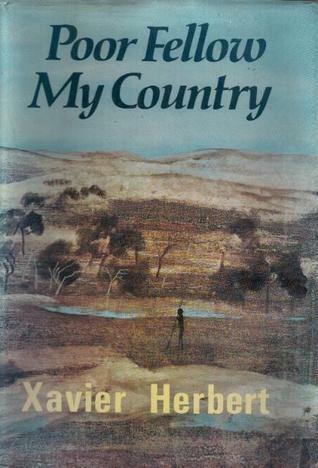 longest work of fiction (at 1,463 pages), Poor Fellow My Country is a Miles Franklin Award-winning novel written by Xavier Herbert. It tells the story of Jeremy Delacy and his illegitimate grandson Prindy in the years leading up to World War II. Bubblegum lovers and fans of Fortune Bubble Gum have reason to rejoice! The popular bubble gum from the 1980s that disappeared in the 1990s re-entered the marketplace last February. Fortune Bubble Gum was a large stick of pink bubble gum wrapped in wax paper that contained a funny fortune. Pick up a pack and see what it says! Heil Honey I’m Home! was a British sitcom written by Geoff Atkinson that was cancelled after one episode. 11 total episodes were produced. The show’s premise was that Adolf Hitler (Neil McCaul) and Eva Braun (DeNica Fairman) live in Berlin next door to Jewish neighbors Arny and Rosa Goldenstein (Gareth Marks and Caroline Gruber). Television historian Marian Calabro described Heil Honey I’m Home! as “perhaps the world’s most tasteless situation comedy.” Though others have defended the show. English professor David Hawkes argued that the show failed because it “disastrously exceeded” the limits of irony. The show was cancelled almost immediately. It currently sits at #61 on Channel 4’s list of “100 Greatest TV Moments from Hell.” Heil Honey I’m Home! aired on September 30, 1990.